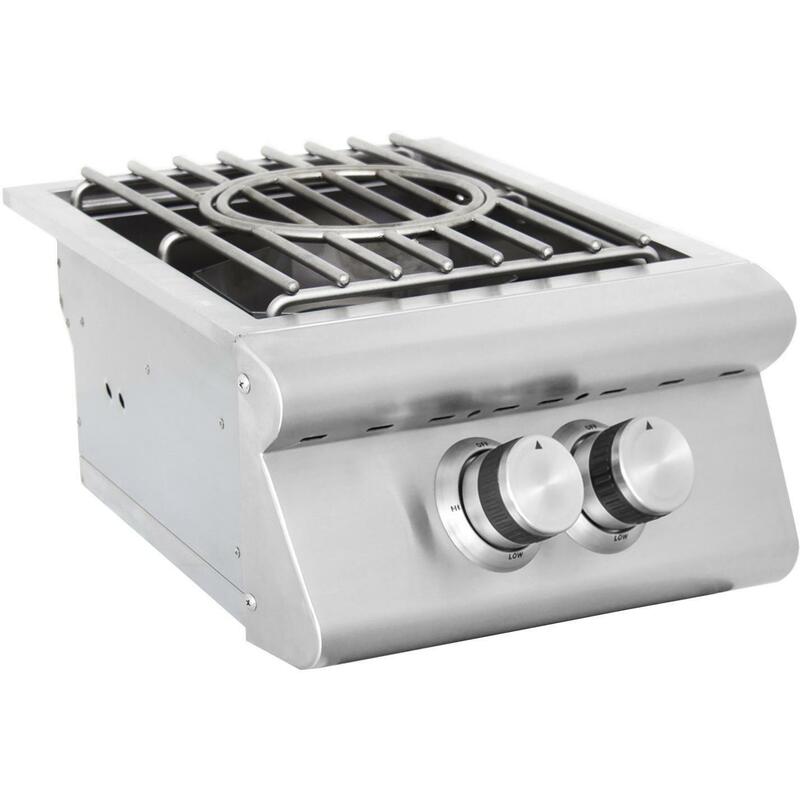 Product Description: Blaze Built-In Propane High Performance Power Burner W/ Wok Ring & Stainless Steel Lid - BLZ-PB-LP. Introducing an affordable power burner that incorporates a narrow footprint and an efficient design which boils water in half the time as other power burners on the market. At 15 3/4 inches wide, the Blaze Professional Power Burner gives you more room for additional components or more counter space for prepping and other tasks. 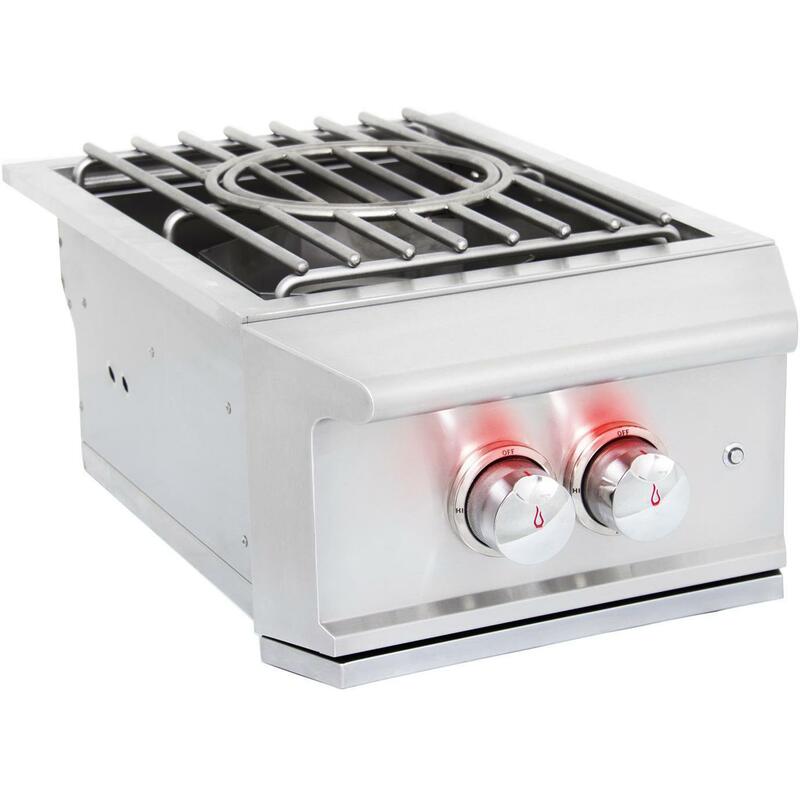 Blaze power burners are made from stainless steel and include a removable stainless steel lid to protect the burner when not in use. The cooking grid is constructed from heavy-duty stainless steel rods with a removable 9-inch inner ring for cooking with a wok. Underneath the grid, a stainless steel guard surrounds the burner, which protects it from the wind and concentrates heat for maximum efficiency. 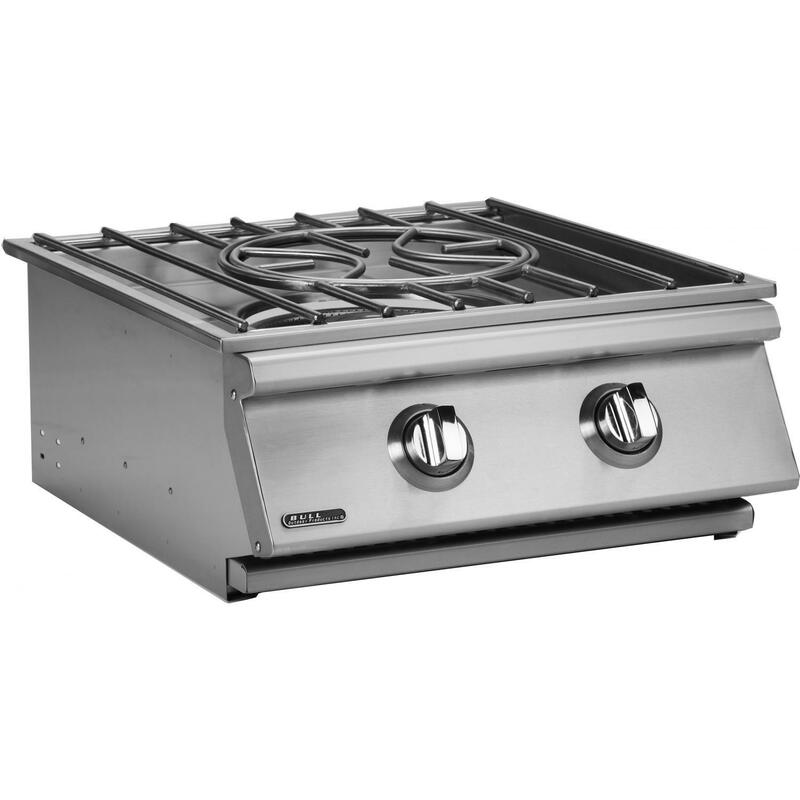 This propane gas power burner features two, individually controllable burner rings. The inner ring is rated for 25,000 BTUs, and the outer ring is rated for 35,000 BTUs. The burners are lit with a simple push and turn ignition. This dual ring design is ideal for cooking versatility. The inner burner is great for simmering sauces, or use both burners when boiling shrimp or frying fish. Cooking with the outer ring is perfect for large skillets and pans, as the high heat allows the pan to heat up quickly. The burner ring is made from commercial quality, 304 cast stainless steel for longevity. If you are looking for an affordable power burner so you have more in your budget for other components, Blaze power burners are a great solution.